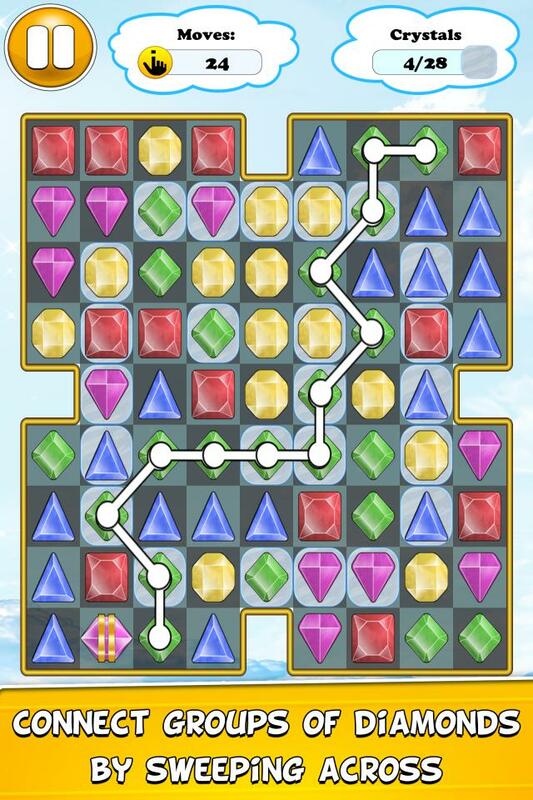 Play an addicting game of connect diamonds. Connect groups of identical diamonds by sweeping across. You must connect 3 or more diamonds in order to ignite a blast. Trace a path from the first diamond to the last diamond from that group without overlapping. When ready, release the diamonds you connected and they will blast one by one. 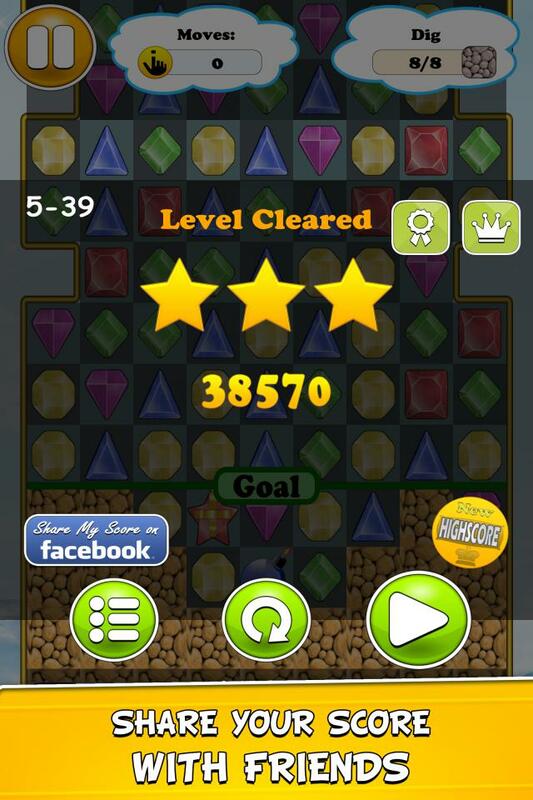 Connecting a large group of diamonds will earn you bigger and bigger scores and the chance to generate special diamonds. 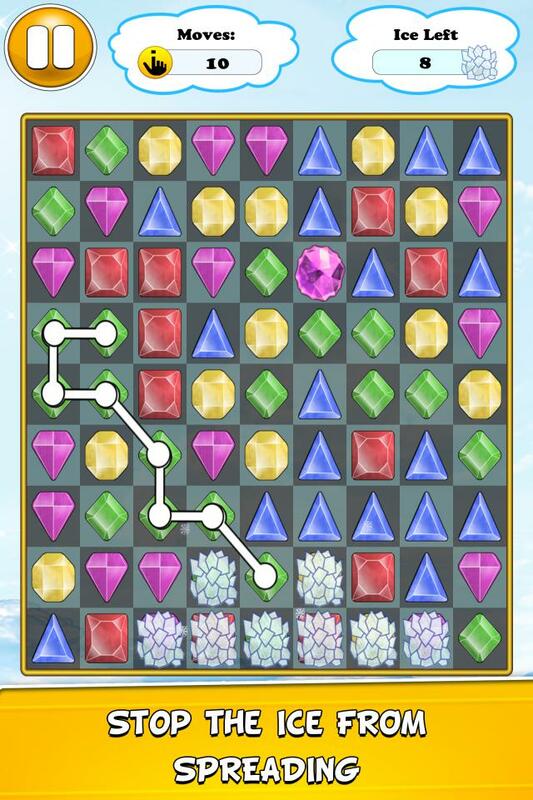 At advanced levels you may need to use strategic special diamonds in order to win. What are you waiting for? 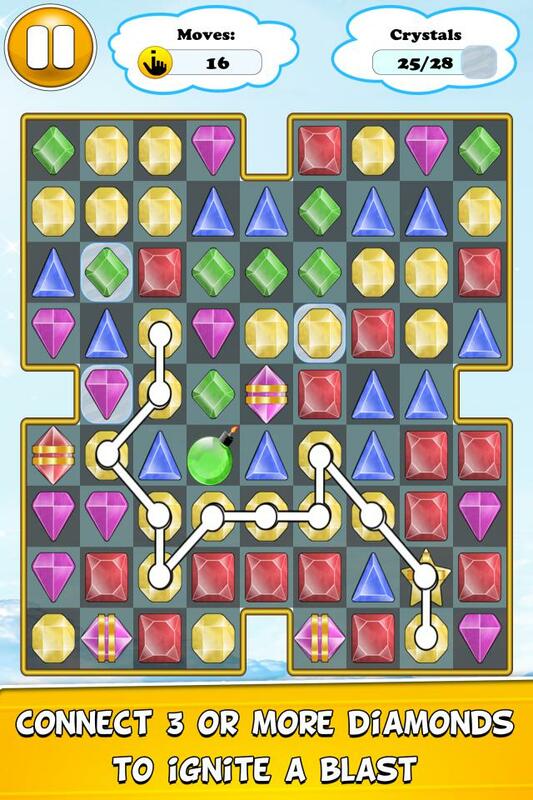 Download and play now this awesome game of connect diamonds. 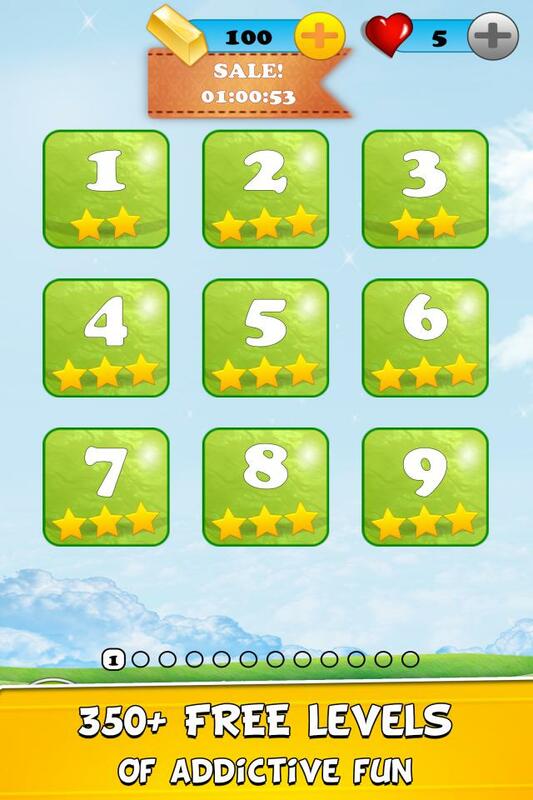 351 free levels for you to enjoy. 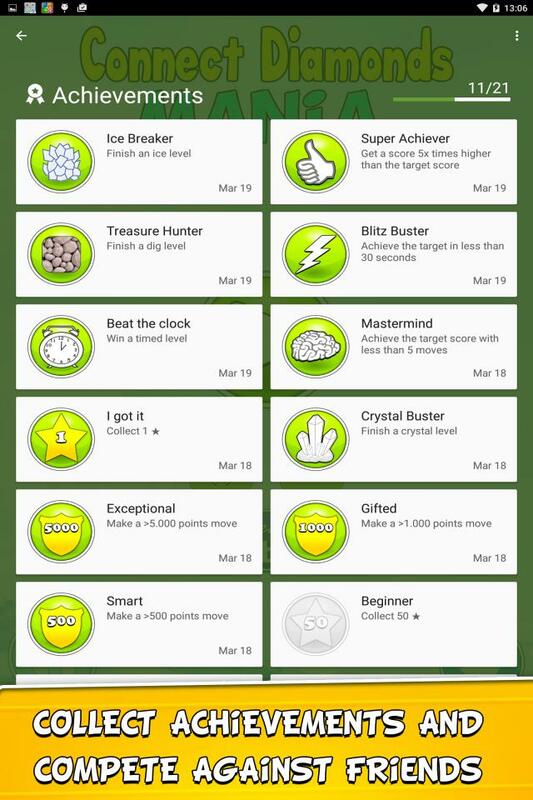 ✓ 351 free levels of addictive fun, each one unique and filled with amazing challenges that will keep your brain active. 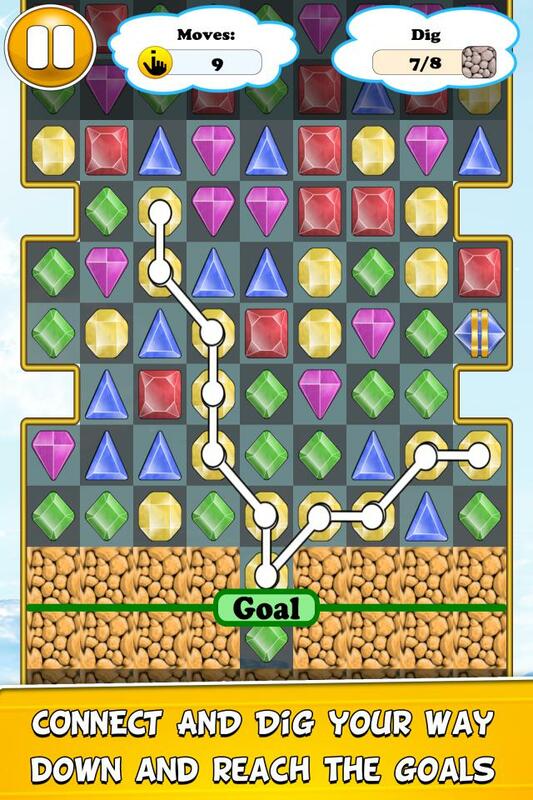 Each level will present you with a different game grid of diamonds you have to connect. ✓ 5 game objectives: achieve the target score, break all diamond and crystal cells, treasure hunting in which you have to dig your way down to the goal line, pearl hunting and ice levels where you have to stop the ice from spreading. 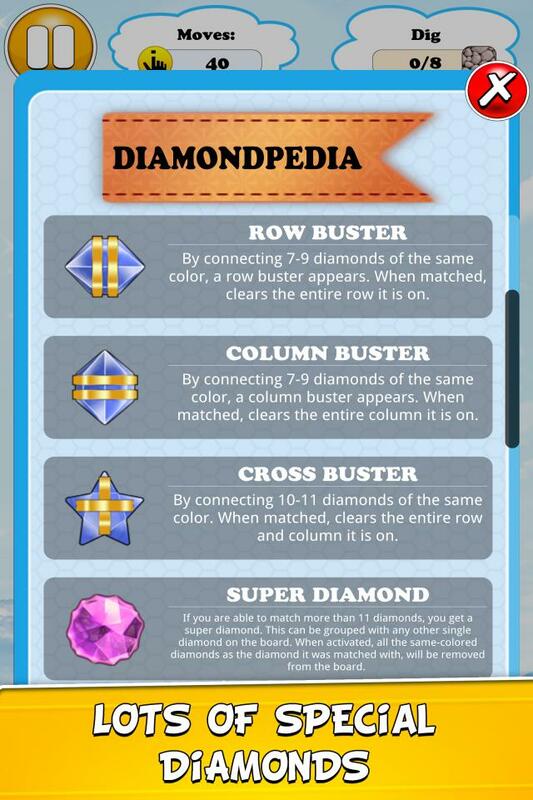 ✓ 7 types of special diamonds. ✓ 7 types of obstacles. 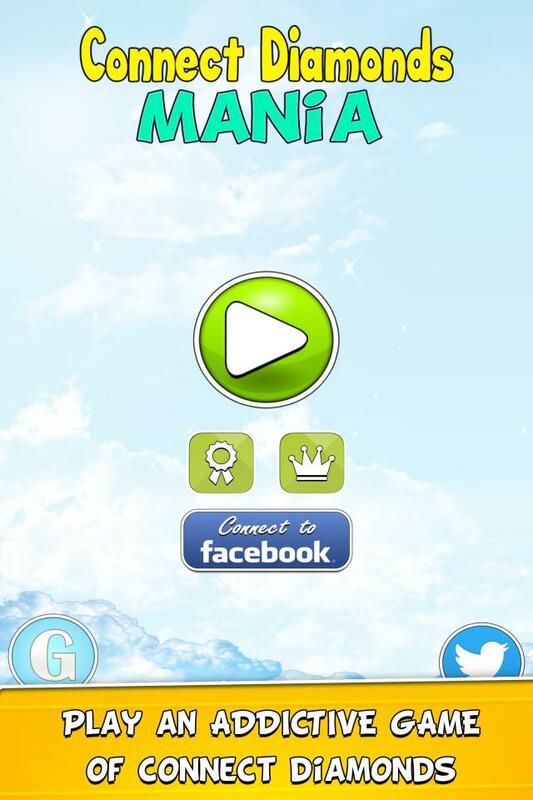 ✓ Addictive, progressively more difficult as you move up through the levels!